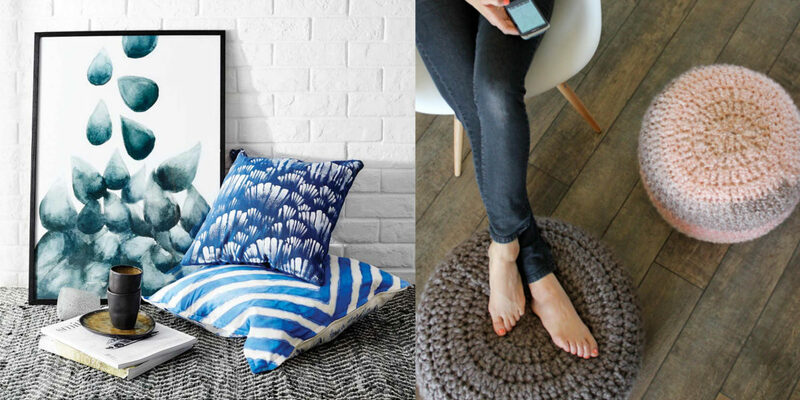 Amidst the trends changing drastically, we have today decided to make your ‘home-life’ easy by listing the top 24 interior decor trends you should look into for 2017. Take a run through the list to put a cap on your curiosity. The presence of watercolors has made a comeback and can be duly incorporated on art pieces for a romantic and feminine appearance. Old will meet new as we will see the traditional furniture structures reimagined with a modern edge. New materials, colors, and textures will revamp the oldest of styles and give a playful touch to design this season. With the phenomenal size and attractive appearance, the rugs with the mix of size, color, style and texture render a creative touch to space. 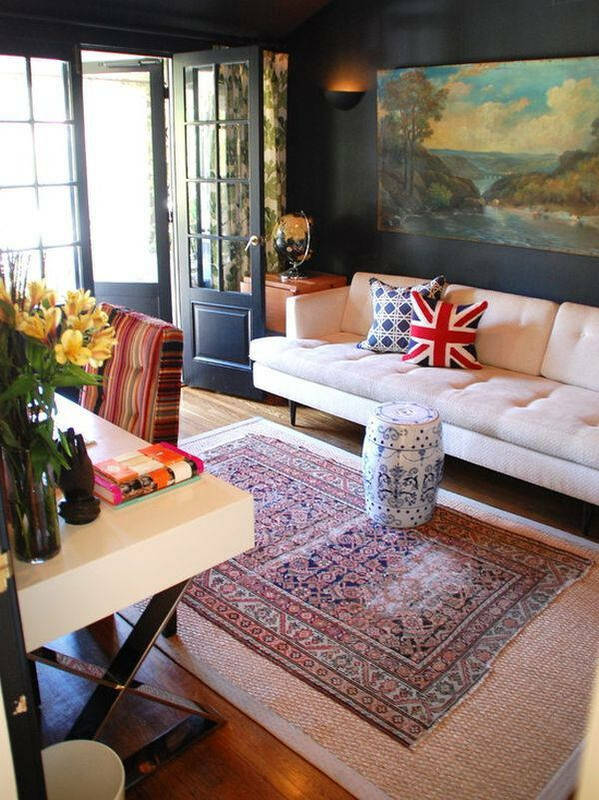 Extending from floors to walls, rugs are going to be seen more as artwork that just a layering piece for the floor. Homes with separate kitchen is a great integration for people who love to cook. Making your culinary space less messy and more private will make your dinner parties all the more organized and fun. 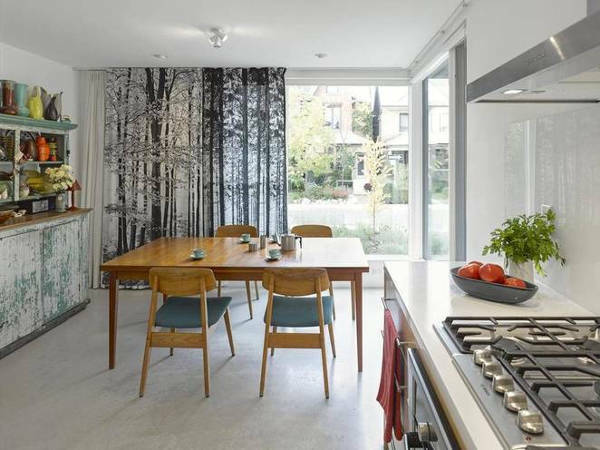 Given that the kitchen is one of the most used rooms in the home, it is important to keep it spacious and airy. Layered designs accentuated with tassels and trims are finally making a comeback. Complemented with historic motifs, florals, and organic patterns, the layered design is going to reflect a mix of cultures. We all know that lighting acts as a perfect accessory for the home and it is undoubtedly one of the easy ways to show off your unique design sensibility. A quirky lighting fixture looks great in a dining room or beside a bed in the bedroom. If you are looking for an easy addition to make your home feel well designed and curated, geometry is one pattern and style to opt for this year. Geometric patterns blend well with any style of decor and simultaneously look sleek and contemporary. 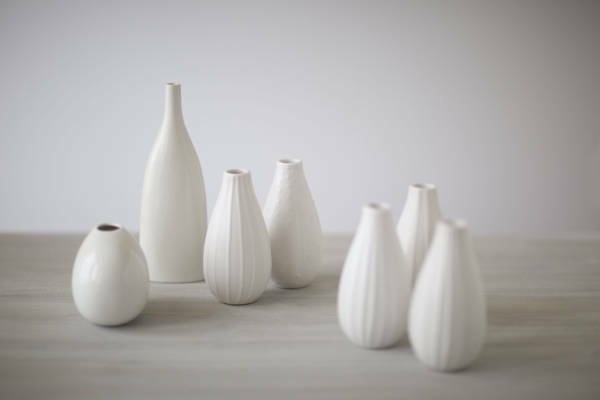 Raw white which reflects a chalky or bone white quality lends a very earthy and handmade vibe to the home. With an organic or imperfect look, raw white accessories or accent pieces can also help to balance the look of a vibrant space. 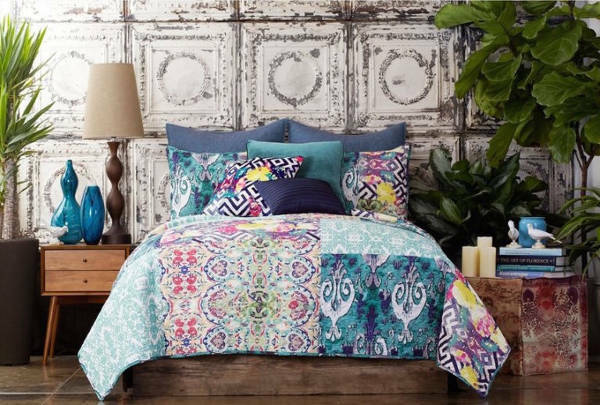 If you are one to love the eclectic look that is supported with a mix of colors and patterns, then the mixed patterned look which doesn’t just solely focus on the statement pieces is one to try for your home this season. 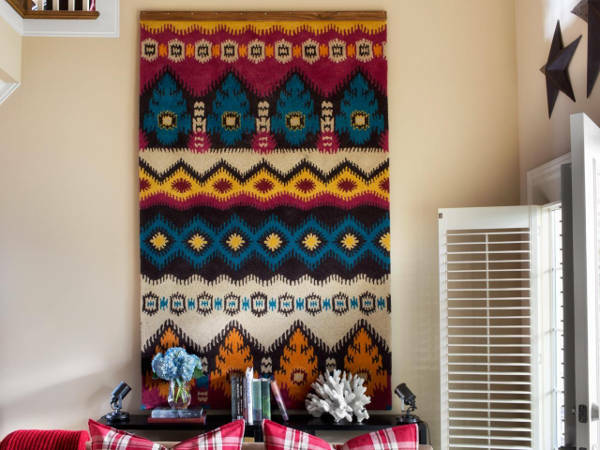 Play around with the colors and give your home a trendy upgrade. 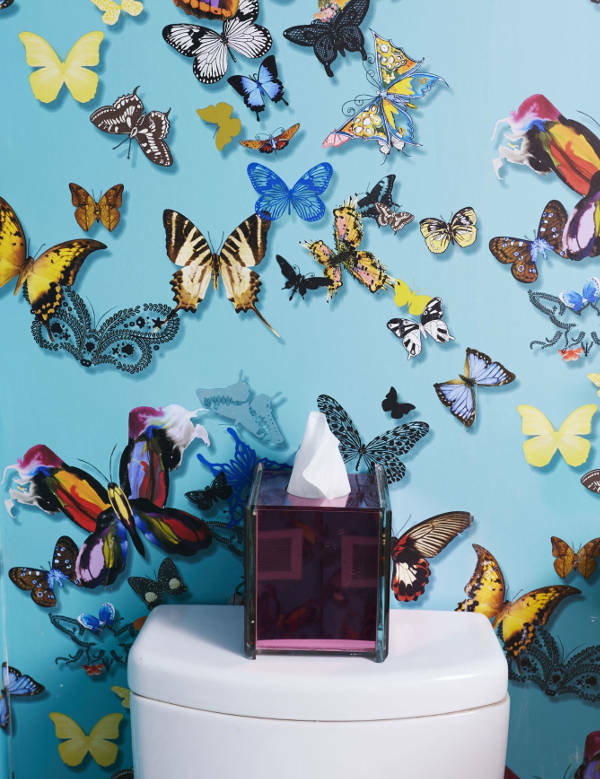 Butterflies have increasingly started to become the happy motif that reflects both grace and optimism. 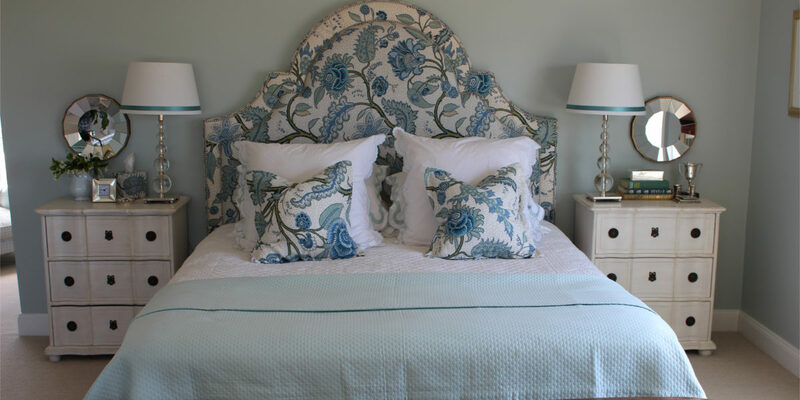 The motif is no more just reserved for the children’s room, it can be used in a variety of spaces with sophisticated accents like turquoise or pale yellow. 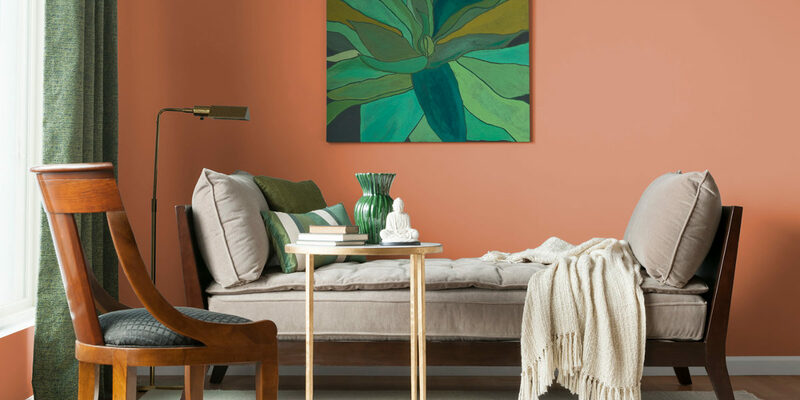 Terracotta is finally coming back in and it is certainly going to change the look of your home. Whether in the form of garden pots or tiles, there are a number of ways you can include the material to enhance the aesthetic value of your home. As suspected copper is fading out, so, might be you can go matte black, timber and terracotta mix for changing the look of your home. If you are thinking of keeping your dark toned furniture out for a garage sale, we would sincerely advise you to give it a halt, as dark furniture is on the rise again. 2017 is going to witness a resurgence of rich and darker tones in home and kitchen furnishings. 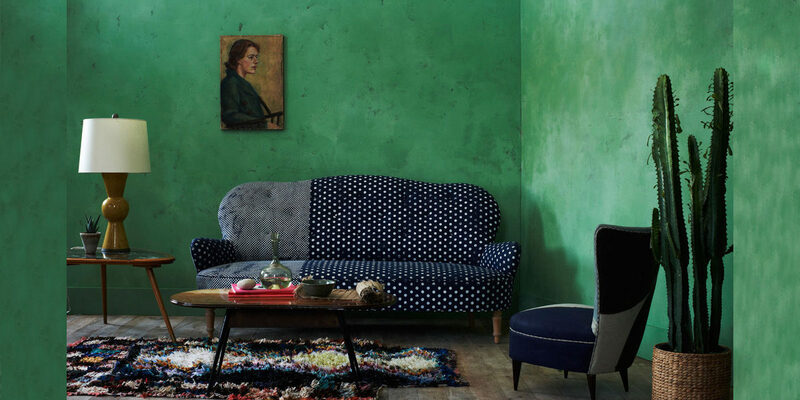 Green is one colour that is going to enjoy its wide presence in the coming year. 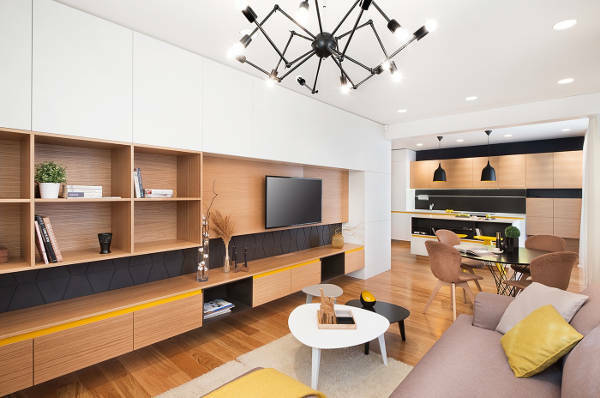 Rich in its visual presence, the colour even matches well with dark timber as mentioned above. 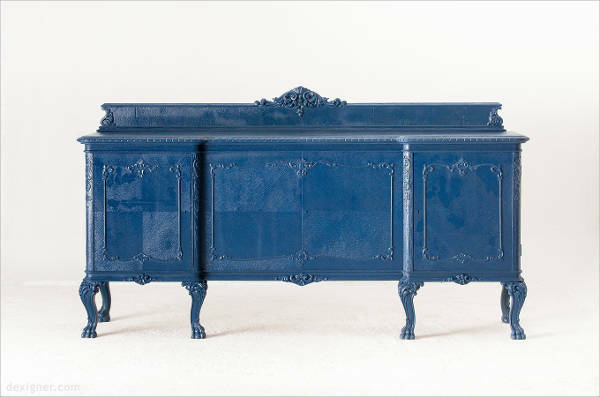 The colour can also be beautifully complemented with vintage and timeless furniture as well as metallic accent pieces. The desert trend definitely matches well with green and dark timber, therefore it makes right sense that the trend would be equally hot the coming year. 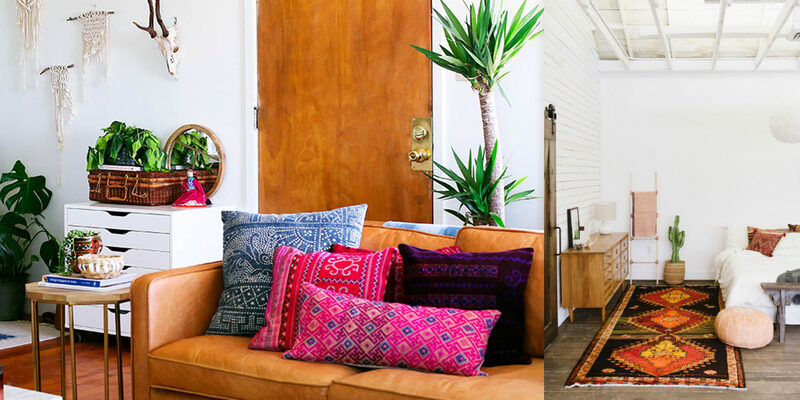 Whether it is prints, cacti and Moroccan patterns, the desert trend includes all. The fabric bed heads are back and the coming year we will see it substitute the sophisticated timber. A uniformly coloured bedhead in a fine fabric will certainly be a winner in 2017. Sustainability is not just a feature that is enjoyed by our environment but also in the interiors of our home. 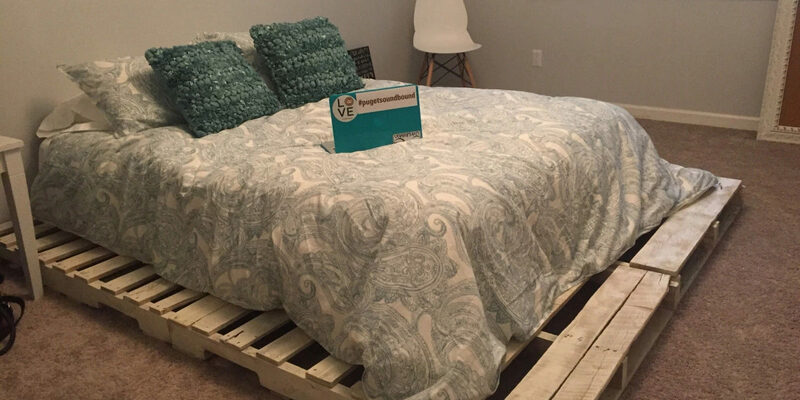 Reusing, repurposing and up-cycling will still remain a key element in the coming year. And, as the world will continue to be immersed in technology and disposable items, therefore, it is best to bring an eco-friendly balance with recycling. More handmade and artistic patterns made by embroidery, felt, knitting, crochet are going to gain popularity in the coming year. Not entirely crafty, but it is the artistic quality which will positively be appreciated by all. 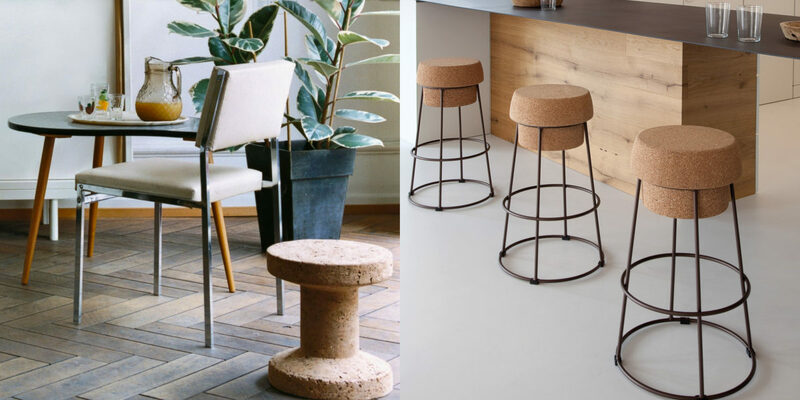 Cork is finally making a stylish comeback. The material doesn’t just add warmth and texture to spaces but is also useful in absorbing noise in the large open plan homes. 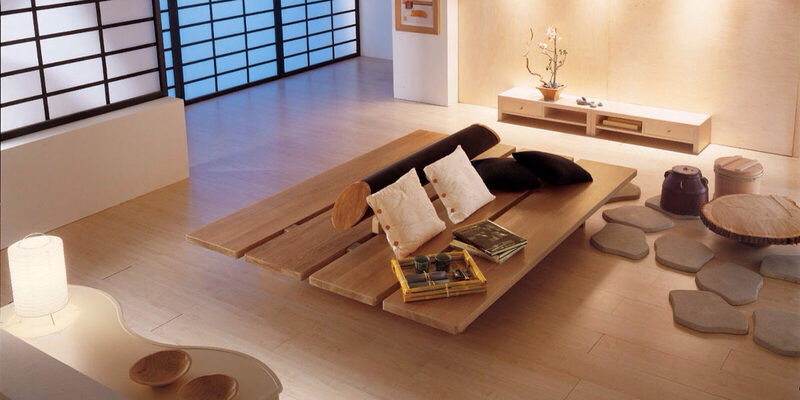 The material can be used efficiently in coffee table bases in combination with stone tops and as cork stool or side table. Along with single fabric bedhead, upholstered is another trend that is going to replace the timber bedframes. 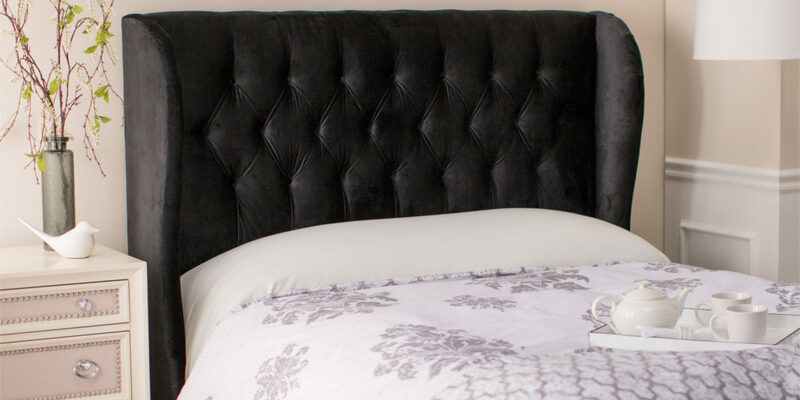 Upholstered is also a great pick to bring a luxurious turnaround to the look of your bedroom. Whether you go for the classic neutral model with buttons or for a vibrant velvet one, the bedhead is definitely a sure shot way to glamorise the look of your bedroom. 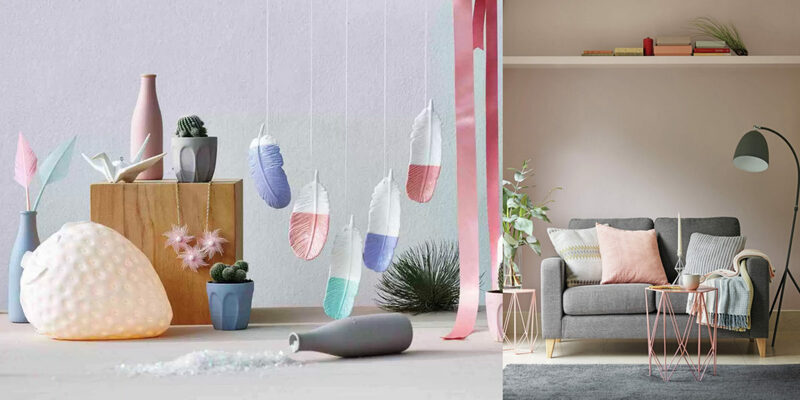 Although, pink and blue are currently being enjoyed by everyone but they will soon be fazed out by jewel tones inspired by metals, space, stars, clouds and the cosmos. Metallics, metals, raw-cut quartz, Lucite and opal carry the ease to bring the missing sparkle and interest to your home. This particular trend also holds the romantic element to bring that soft rhythm to your home. One theme that will see an surprise in 2017 is the earthy pastel-hued colour scheme. Holding a close reference to the soft side of spring, the blush, lavender and other colours of the organic palette are neat and easy to include colours in the home. 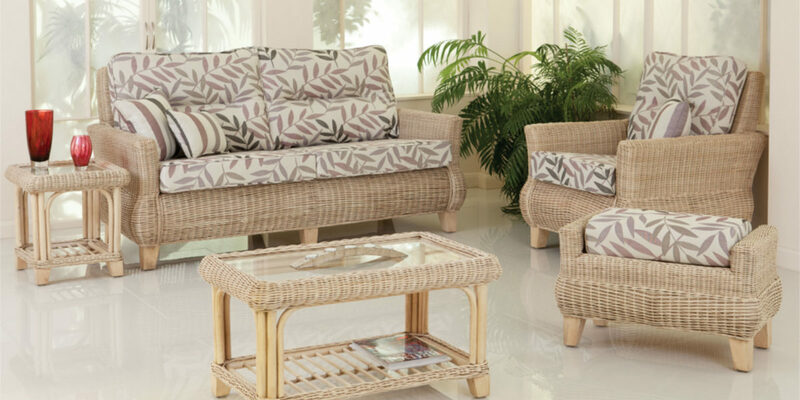 Whether it is in the form of cane, rattan or abaca, the natural textures are going to be huge in the coming year. Experiment with the natural material, either by adding it to the glass or even working its way up the cabinet, the choice and technique is all yours. Organic striped wallpapers inspired by art is another trend that is going to find its way to our home in 2017. 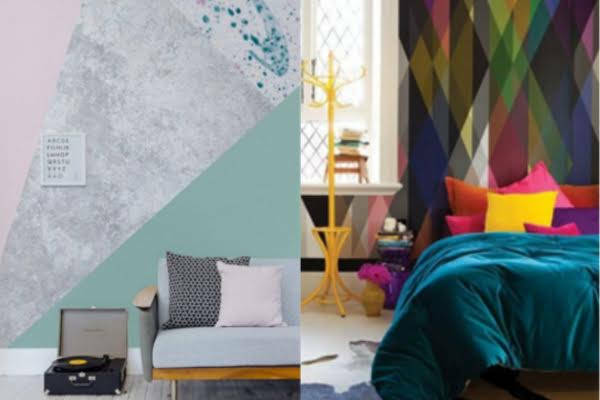 Available in a number of textures and colours, the artistic wallpaper is one way to give a stunning makeover to your place. A counter to the digital age, this trend focuses on incorporating slow and low technology which is definitely the need of the hour. Digital detox trend highlights old crafts and imperfect forms that give us a break from the overuse of technology. 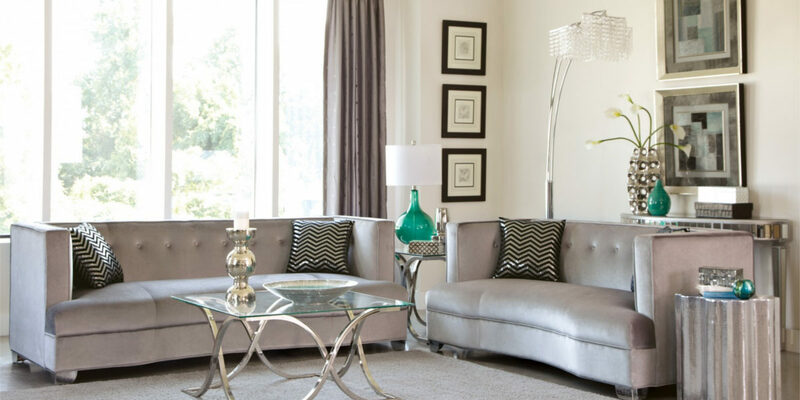 Give your home a head start with any of these trends to make it snazzy and ready for the coming year.